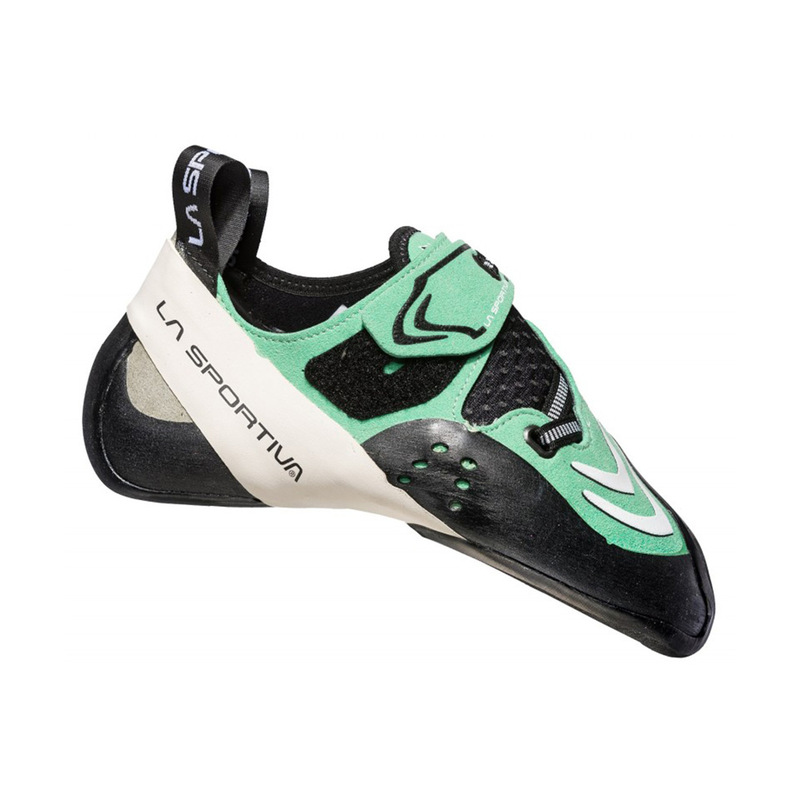 The Futura Women's is the narrowest shoe in La Sportiva's No-Edge® line. No-Edge® technology follows the contours of the big toe so the minimum amount of rubber - 3 mm to be exact - is placed between your foot and the rock, resulting in higher sensitivity. This feature also also creates a larger surface area of rubber that comes into contact with the rock, making it especially effective on routes with tiny footholds. 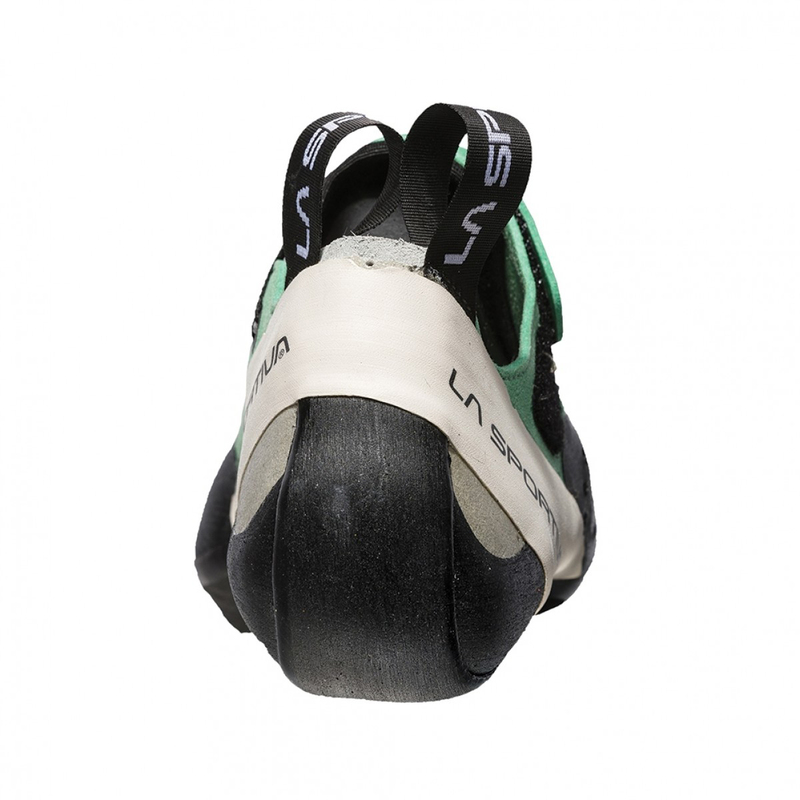 The downturned profile and medium asymmetry will comfortably perform on everything from high-performance bouldering to overhanging sport climbing, and even technical trad climbing, but the velcro 'Fast Lacing System®', taken from the Solution, will lend itself to bouldering. The medium-stiff midsole balances flexibility with edging support to make a highly versatile shoe. For a stiffer version that's better for heavier climbers, there's also the Futura Men's. 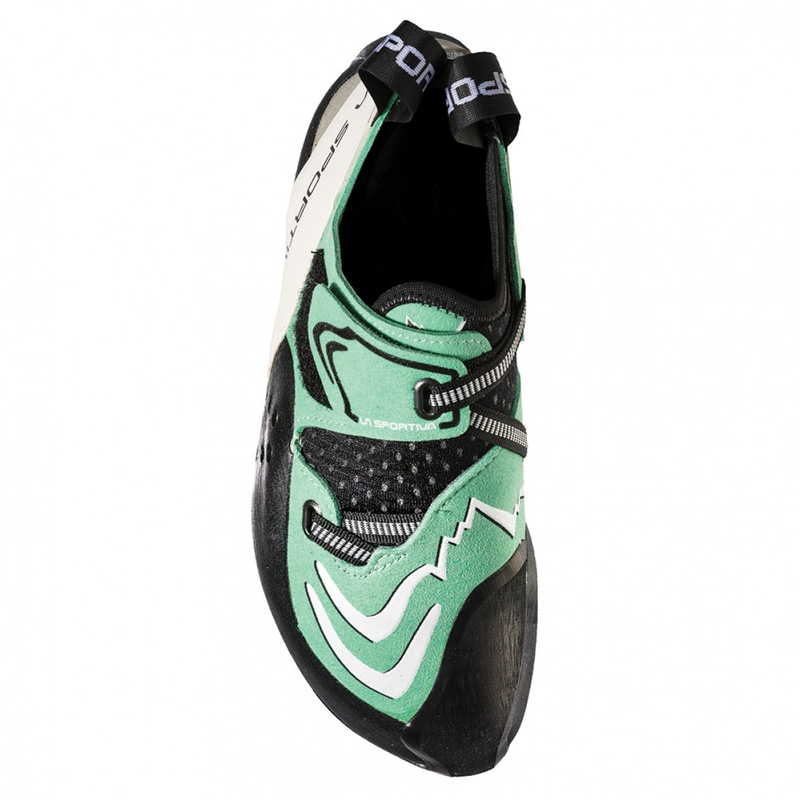 No-Edge® Technology replaces the traditional edge of a climbing shoe with rounded rubber. 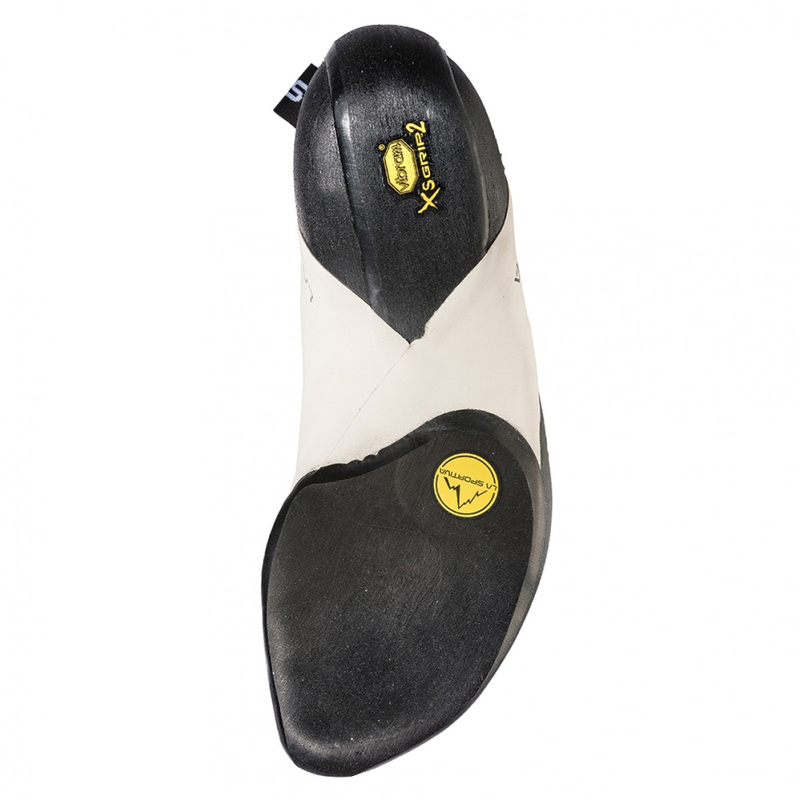 Because it contours the shape of the toes, it minimises any dead space between the toes and the rubber, resulting in much higher sensitivity and a more homogenous push against the rock. It was a very good experience, as always with epictv shop!